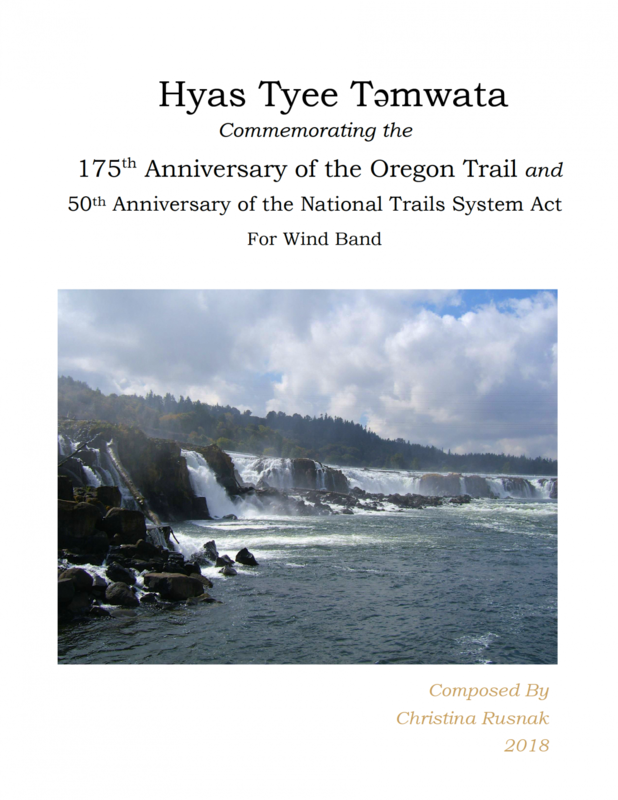 Hyas Tyee Təmwata (Willamette Falls) Oregon was second only to Niagara Falls in the envisioned United States. 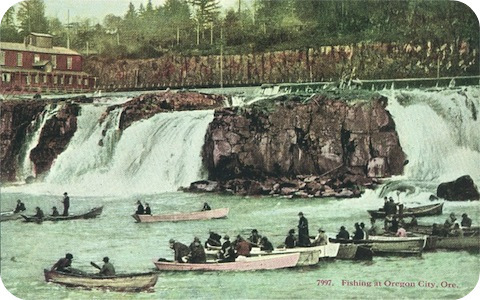 This landscape had been portrayed as North America’s Eden. This was the end point of the Oregon Trail – the destination that nearly half a million people strove to reach. Prior to settlement, this place flourished as a major fishery, with a thriving society of people living in semi-permanent villages. This third movement of Oregon Trail is emotional with symbiotic yet conflicting sets of tonality, integrating a 21stcentury lens on a Historic Trail that is both one of the most revered and yet troubling and controversial. Section E is Hymn-like to musically paint the idea of Manifest Destiny & the political goals of the period. F & G lyrically capture the joy of the emigrants that made the journey. H returns to the waterfall.